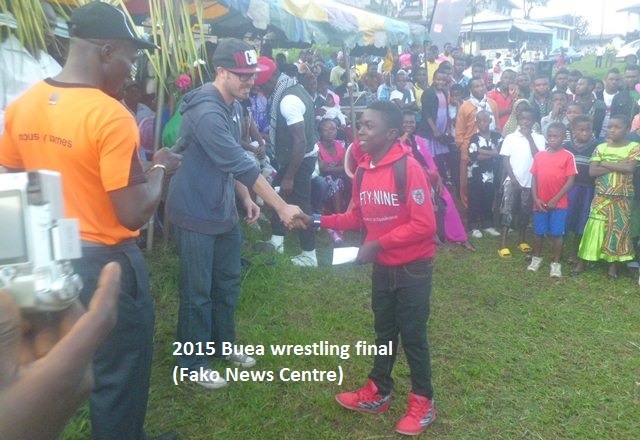 The wrestling team from Wokwai village has once again lifted up the trophy of a yearly wrestling competition organized in Buea sub division. 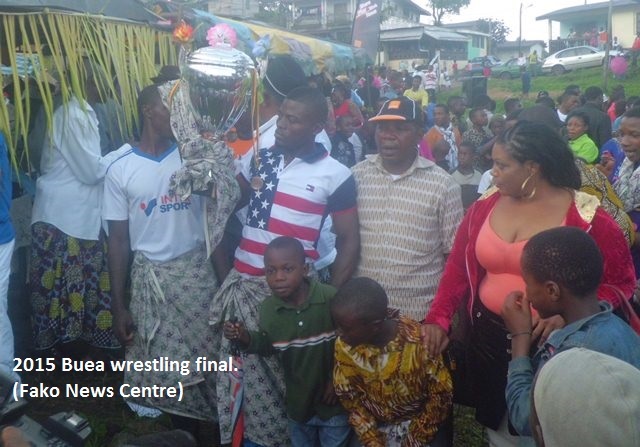 The Wokwai wrestling team finished top of the competition with 469 points followed by Great Soppo with 398 points and Buea Town came third with 281 points. 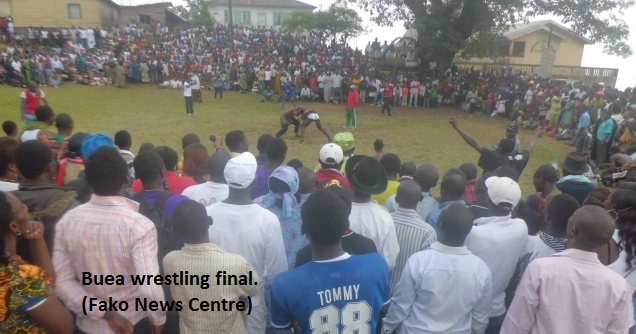 Wokwai village also had the highest points in the 2014 edition of the wrestling. 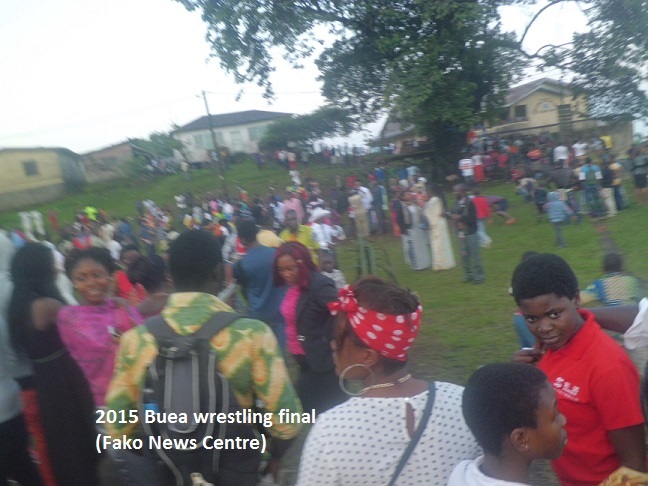 The competition began early this year and the finals took place at the Buea Town wrestling ground on Sunday July 5, 2015. Before the finals, each village had an opportunity to host the completion for at least four times. After each competing village had hosted the competition for at least four Sundays, the best wrestlers from each village were then identified and invited to take part at the finals. 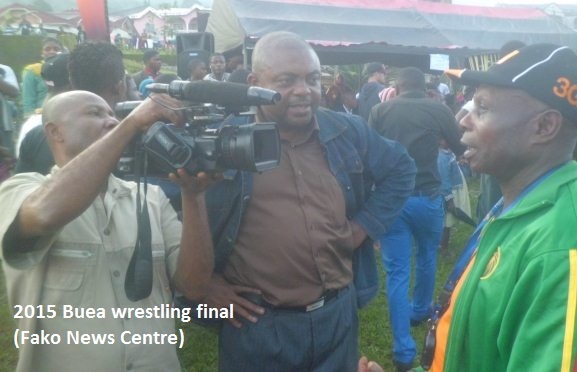 Talking to the press after the finals, one of the members of the organizing committee who also refereed during the competition, Mola Paul Samba, explained that one of the problems they encountered this year was the non-respect of the training sessions by wrestlers. He explained that champions from this tournament are expected to participate in national wrestling competitions and therefore must be trained to be disciplined. It is only discipline that can make a good athlete, he noted.